San Francisco Museum of Modern Art. Courtesy Kreysler & Associates. Can you fathom a time when buildings are no longer constructed with steel and concrete? No more cement foundations and no more skyscrapers erected with I-beams? William Kreysler, president of Kreysler & Associates (K&A)—a custom fabrication firm working on architecture, art, and industrial projects—believes a more innovative and efficient era of building is coming. But he admits that it won’t happen overnight, due in large part to the Industrial Revolution (and the 19th century’s abundance of materials and cheap energy). With 40 percent of energy now consumed by buildings, Kreysler says it’s time the construction industry made some serious changes now that materials and energy are diminishing, and abundant waste causes more ecological damage. Essentially, it’s time to think about buildings of the future. Before Kreysler started his firm 25 years ago, he built racing sailboats. The boating industry is where he began fabricating with strong, malleable, durable, and less wasteful materials using monocoque systems, an approach to building where the external skin of an object takes on the weight load and provides support of the structure. Monocoque structures emulate the way nature designs—for example, weaver-bird nests and termite castles—which is a more efficient use of materials and energy. 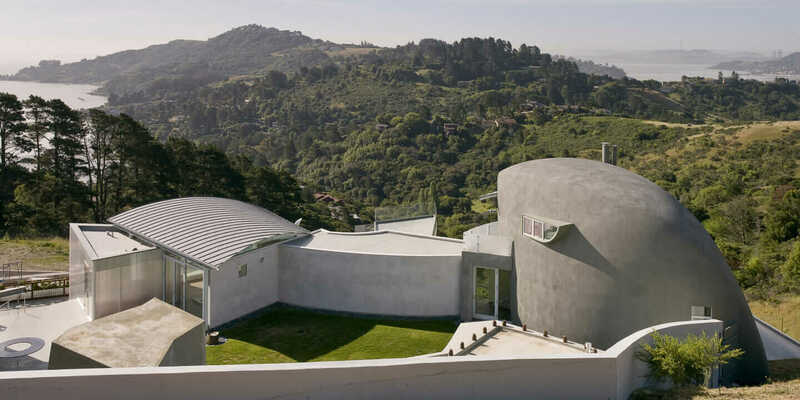 California Bay House in Tiburon, Calif. Courtesy K&A. Taking what he learned from the boating industry, Kreysler parlayed fiberglass and monocoque systems into fabrication for buildings. But it wasn’t an easy sell at first. 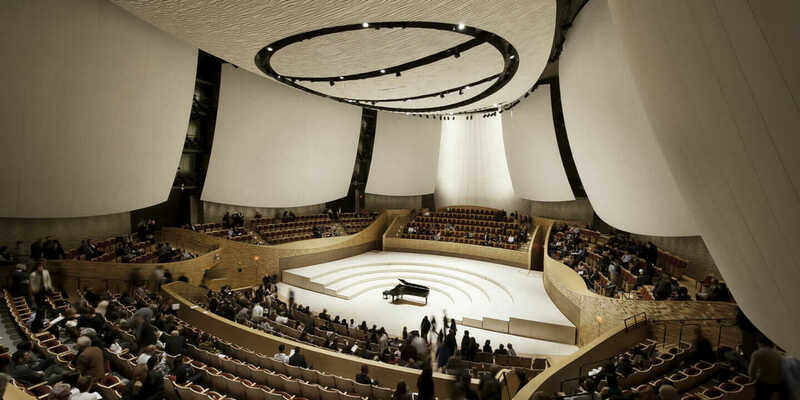 Bing Concert Hall in Stanford, Calif. Courtesy K&A. So they used it as a surface coat over molded fiber-reinforced polymer (FRP) composite structures. But although they were able to prove the strength of the materials they were using, contractors were still concerned about building codes. Fiberglass has resin in it, and resin burns. Fortunately, the sand filler tempered the burn factor, and the composite material got the green light. And FRP can compete with the strength of I-beams. When you mix fiber (such as carbon fiber, glass fiber, or Kevlar) with cement or resin (for example, polyester resin or epoxy resin), you can build something “mind-blowingly strong,” Kreysler says. 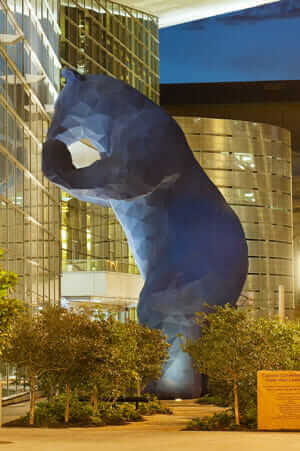 Blue Bear at Colorado Convention Center. Courtesy K&A. The lack of collaboration across stakeholders (architects, contractors, engineers, and fabricators) contributed to the waste of time, energy, and materials, as did the engineers’ hesitations about using the composite materials. 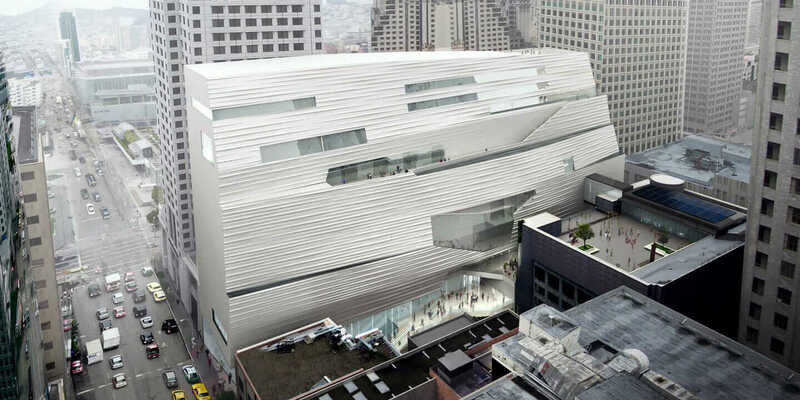 However, K&A’s collaboration with the San Francisco Museum of Modern Art (SF MoMA) is a case where cross-team collaboration made a huge difference. Webcor, the general contractor on the project, and Enclos, the sub-contractor that did the entire building envelope, trusted K&A to coordinate directly with the architects to create the rippled fiberglass façade. 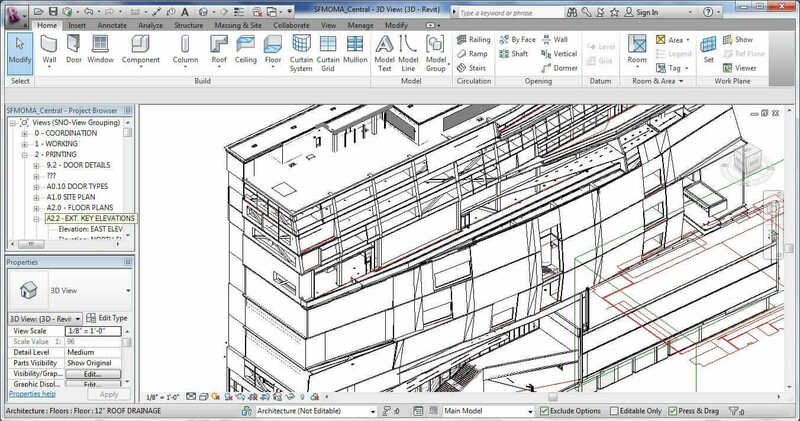 A Revit file for the SF MoMA project. Courtesy K&A. That collaboration saved an incredible amount of money and materials. 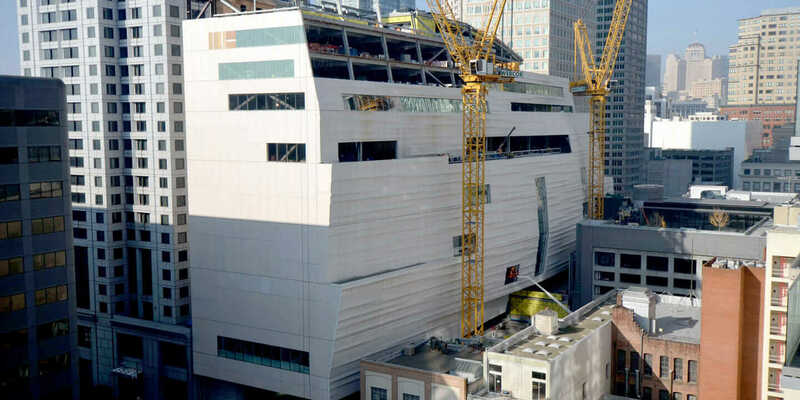 “The façade is fiberglass, and because it’s extremely lightweight and strong, that made it possible for engineers to take one million pounds of steel away and eliminate a whole entire backup support system they were expecting to use,” Kreysler says. Kreysler recalls the relocation of Boeing Corporate Headquarters as one example. The company moved from Seattle to Chicago 25 years ago and built a skyscraper over an active set of train tracks. Instead of traditional structural supports and foundation, the engineers created trusses to cantilever the building over the tracks. Skinning the structure at SF MoMA. Courtesy K&A. And in the future, it’s possible that high-rises constructed from carbon-fiber filaments and 3D-printed buildings (when those materials are strong enough) could disrupt the steel industry. “The day will come when machines will be making buildings like weaver birds weave nests and like spiders weave webs,” Kreysler says. But even when the technology is ready, the construction industry will likely drag its heels.